VOTE FOR MELLOW 947 at the 19th KBP Golden Dove Awards!!! Support your favorite radio station! 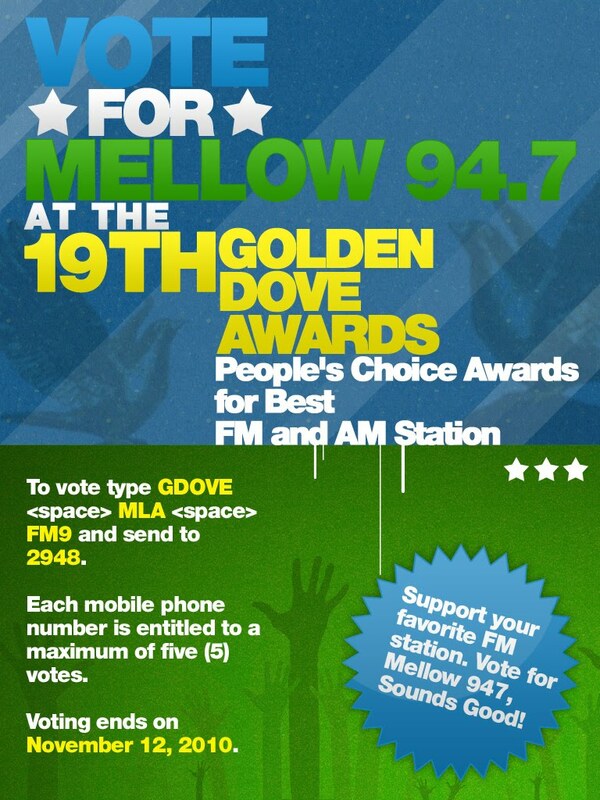 Vote for Mellow 94.7 at the 19th KBP Golden Dove Awards for the People’s Choice Award – Best FM Station! Simply type GDOVE (space) MLA (space) FM9 and send to 2948.